If you want a quiet tranquil place to come home to then Woodstock, CT is the place for you! This rural farming community offers its residents plenty of open land to enjoy, and plenty of economic growth through the many small businesses located in and around Woodstock. To help protect your family and property from the many critters that take advantage of the food and shelter found in Woodstock’s open lands, turn to the New England pest control experts at Big Blue Bug Solutions. 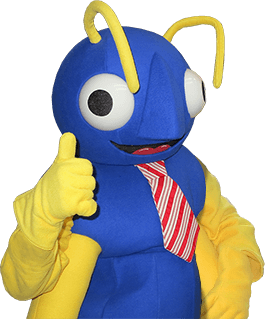 While we are well-known for the “Big Blue Bug” that sits atop of our headquarters, we are also very well-known for the highly effective, affordable pest control services that we offer to all of our valued customers. Whether you are a home or business owner you can be sure that your property will be protected from potentially damaging and dangerous pests. Get in touch with us today to learn more about any of our residential or commercial pest control programs for your Woodstock property! To take care of all the possible pests that can invade your Woodstock home, damage your personal property, contaminate your food, and cause a whole host of other problems, the professionals at Big Blue Bug Solutions offer a wide variety of quality, affordable pest control services. Insect control, rodent control, wildlife control, TAP insulation and more; we have what you need to protect your home, family, and pets from Connecticut pests! To protect your home year-round from a wide variety of common household pests we offer our Home Owner’s Policy (HOP). HOP provides our customers with three visits per year from our knowledgeable and friendly technicians, preventative treatments, and on-going monitoring of susceptible areas. Through this program, we also provide the guarantee that if pests become a problem in-between our visits we will return at no charge to you to take care of the problem. We also offer our exclusive Blue Glove Service which guarantees that our technicians will wear blue gloves and blue booties when entering your home, helping to ensure that your home is as clean after we leave, as it was before we arrived! Give us a call to learn more about our residential pest control solutions. Earwigs are those dark brown, long-bodied insects who have those painful looking pincers coming off of their hind-end. However, the good news is that those pincers pose no threats to people, as they are not strong enough to cause any harm. The bad news, however, is that earwigs can invade your Woodstock home in large numbers if proper prevention measures are not taken. The best way to stop these moisture seeking pests from wanting to invade your home is to make your property as unappealing to them as possible and to fix all the areas around your home that may allow them inside. Earwigs like to hide in dark, damp places, so be sure to remove piles of grass, leaves, and other organic materials from your property. If possible, store firewood up off of the ground and away from the outside of your home, and remember to trim back overgrown bushes and other vegetation away from the exterior of your home at least once per year. Seal all cracks and crevices found in the exterior of your home and seal any openings found around utilities entering inside. To reduce humidity levels inside of your home use dehumidifiers and make sure that all crawl spaces are properly ventilated. At Big Blue Bug Solutions we can help to prevent earwigs and other common household pests from becoming a problem in your Woodstock home through our Home Owner’s Policy. To learn more about earwigs and/or our year-round pest control services, contact us today! Don’t let Connecticut pests invade your business, as just one report of pests is enough to cause a loss of reputation within the Woodstock community. Let us help to protect your business and its reputation from pests through our commercial pest control solutions. Big Blue Bug Solution’s Monthly Maintenance Program is exactly what you need to get rid of current pest issues and to prevent other pests from making their way back into your commercial facility as they search for food, water, and shelter. Through the Monthly Maintenance Program, our professionals make once a month visits to your Woodstock commercial facility where they perform monitoring services and implement preventative treatments. If any pest problems are noted while they are there, they will immediately take steps to solve those problems, stopping the pests in their tracks! In addition to our Monthly Maintenance Program, we also provide the following commercial pest control services either in conjunction with the Monthly Maintenance Program or on their own to help you maintain a pest free environment within your facility. Flat oval-shaped bugs that are reddish-brown in color and that are about 1/4 of an inch in length hiding and living in your home. You will most likely find them in the seams of or underneath of mattresses and box springs, in the cracks of wooden furniture and walls, behind pictures, in outlets, behind baseboard or inside of computers and keyboards. Dark brown or black streaks on linens, mattresses, and box springs. Red spots of blood on linens, mattresses, box springs, or walls. You or family members waking with unexplained bug bites in groups of 3 or 4. Bed bug bites are usually found in a straight line or zig-zag pattern. Noticing a sickly sweet odor inside of your home. If you notice any of the above signs you should immediately contact the bed bug professionals at Big Blue Bug Solutions. Our bed bug solutions will quickly and discreetly rid any size bed bug infestation from any Woodstock property. To schedule a bed bug inspection for your Woodstock property, give us a call today!